The Article: 1.6 Billion Rounds Of Ammo For Homeland Security? It’s Time For A National Conversation by Ralph Benko in Forbes. The Text: The Denver Post, on February 15th, ran an Associated Press article entitled Homeland Security aims to buy 1.6b rounds of ammo, so far to little notice. 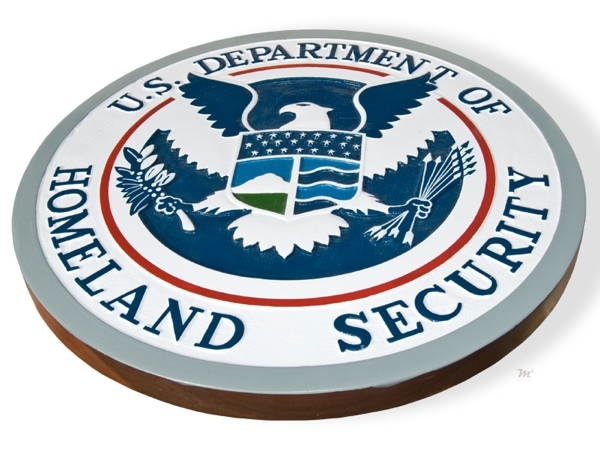 It confirmed that the Department of Homeland Security has issued an open purchase order for 1.6 billion rounds of ammunition. As reported elsewhere, some of this purchase order is for hollow-point rounds, forbidden by international law for use in war, along with a frightening amount specialized for snipers. Also reported elsewhere, at the height of the Iraq War the Army was expending less than 6 million rounds a month. Therefore 1.6 billion rounds would be enough to sustain a hot war for 20+ years. In America. Why indeed? It is utterly inconceivable that Department of Homeland Security Secretary Janet Napolitano is planning a coup d’etat against President Obama, and the Congress, to install herself as Supreme Ruler of the United States of America. There, however, are real signs that the Department bureaucrats are running amok. About 20 years ago this columnist worked, for two years, in the U.S. Department of Energy’s general counsel’s office in its procurement and finance division. And is wise to the ways. The answer to “why would DHS need such a vehicle?” almost certainly is this: it’s a cool toy and these (reportedly) million dollar toys are being recycled, without much of a impact on the DHS budget. So… why not? Why, indeed, should the federal government not be deploying armored personnel carriers and stockpiling enough ammo for a 20-year war in the homeland? Because it’s wrong in every way. President Obama has an opportunity, now, to live up to some of his rhetoric by helping the federal government set a noble example in a matter very close to his heart (and that of his Progressive base), one not inimical to the Bill of Rights: gun control. The federal government can (for a nice change) begin practicing what it preaches by controlling itself. At 15 million rounds (which, in itself, is pretty extraordinary and sounds more like fun target-shooting-at-taxpayer-expense than a sensible training exercise) … that’s a stockpile that would last DHS over a century. To claim that it’s to “get a low price” for a ridiculously wasteful amount is an argument that could only fool a career civil servant. Meanwhile, Senator Diane Feinstein, with the support of President Obama, is attempting to ban 100 capacity magazine clips. Doing a little apples-to-oranges comparison, here, 1.6 billion rounds is … 16 million times more objectionable. -The federal government would set an example of restraint in the matter of weaponry. -It would reduce the deficit without squeezing essential services. -It would do both in a way that was palatable to liberals and conservatives, slightly depolarizing America. -It would somewhat defuse, by the government making itself less armed-to-the-teeth, the anxiety of those who mistrust the benevolence of the federales. If Obama doesn’t show any leadership on this matter it’s an opportunity for Rep. Darrell Issa, chairman of the House Oversight and Government Reform Committee, and Rep. Michael McCaul, chairman of the House Committee on Homeland Security, to summon Secretary Napolitano over for a little national conversation. Madame Secretary? Buying 1.6 billion rounds of ammo and deploying armored personnel carriers runs contrary, in every way, to what “homeland security” really means. Discuss.